Sia Cooper is one fit mom to be. 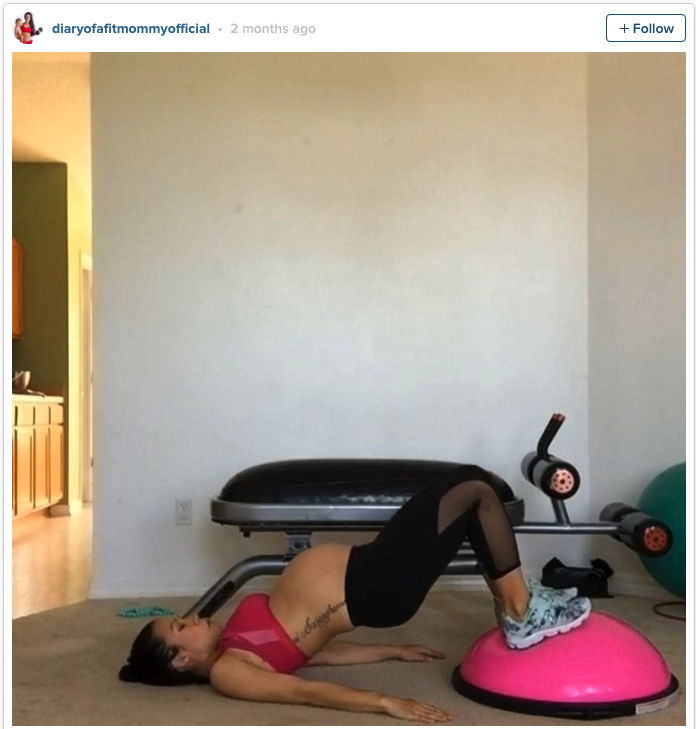 The social media star from Florida has found fame posting pregnancy fitness tips and advice on her blog Diary of a Fit Mommy. She is currently 8 months pregnant and still has the definitive outline of abdominal muscles on either side of her impressive bump. With just a few weeks to go until her due date, Cooper keeps up her intense workout regimen – which include lunge kicks, squat jumps and lifting weights five times a week. Her impressive physique and seemingly obsessive need to stay fit has drawn its fair share of negative commentary. Coopers says she’s been called “selfish” and has been accused of taunting other moms who can’t workout throughout their own pregnancies. “Many people will say it’s unhealthy or that I am hurting my baby, but everything is perfect.” She says that her average days diet consists of eating clean, wholesome meals – but she does treat herself every so often with her current vices – cheese and chocolate. Cooper is expecting a baby girl to join her 2 year old son, Greyson.